I have suffered from depression all [of] my life and take several different medications and see a psychiatrist. Since starting Lupron therapy, I have been much more depressed. My psychiatrist has changed my medications around in the hopes of helping with the depression, but it does not seem to be working. Do you know of anything that can help manage this side effect? This is a real problem in men and it is analogous to the condition in women called "involutional melancholia" that occurs when women go through menopause. Physiologically, you are going through the same hormone shifts that women do during "the change". To my knowledge, there are no special remedies or therapies beyond standard anti-depressants that have been proven to work in this setting. Keep in mind that anti-depressant medications can take a few weeks to reach their optimum effectiveness. So changes to your medications may take a while before the effects kick in and you notice a difference. Keep seeing the psychiatrist and call on your support system when needed. In menopausal women, symptoms do tend to improve once the hormone shift has happened and the body has had some time to adjust to the changes. So hang in there! 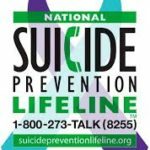 Suicide and Cancer: We want to help.